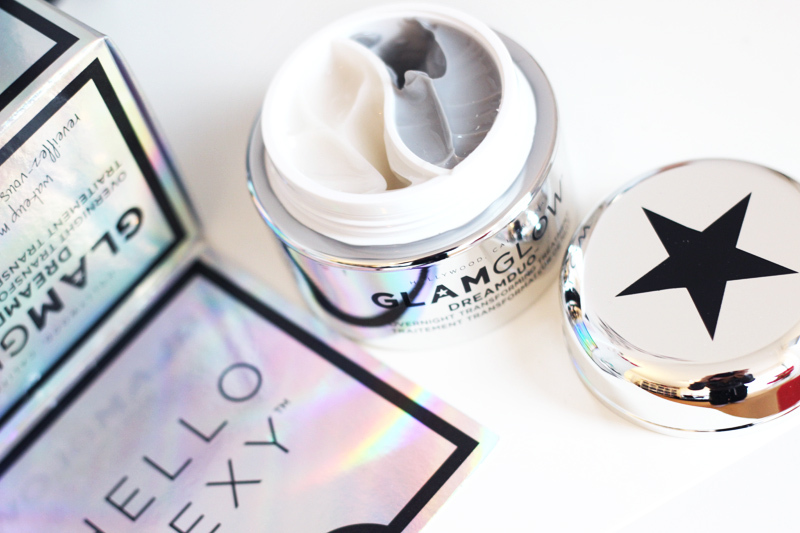 GlamGlow has become a cult celebrity face mask brand since the brand surfaced in Hollywood back in 2011. It all started out with their infamous mud mask YouthMud (which is serious stuff & not to be messed with! ), but the range has since expanded dramatically. And more good news: with the brand being acquired by the Estée Lauder Companies a few years ago, many retail points have been added, making that Hollywood glam accessible to everyone dreaming of that perfect Hollywood skin. Now I'll have to break the news to you that perfect Hollywood skin is mostly a combination of good genes & Photoshop, but that realisation hasn't stopped me using good skin care to improve the way my skin looks and feels. 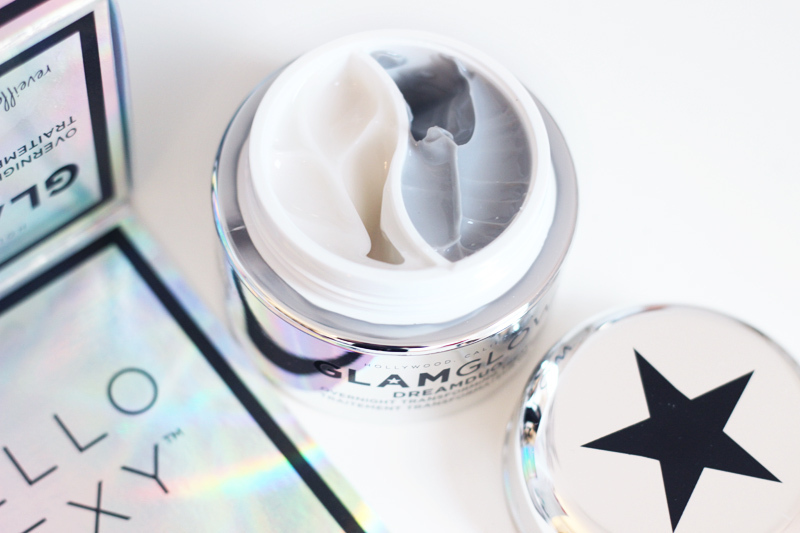 My skin has been feeling quite dry and uncomfortable lately thanks to these gloomy winter days and harsh winds, so I've been trying out GlamGlow's newest launch DreamDuo the past few weeks as it promises plumper and quenched skin. And I could definitely use that! 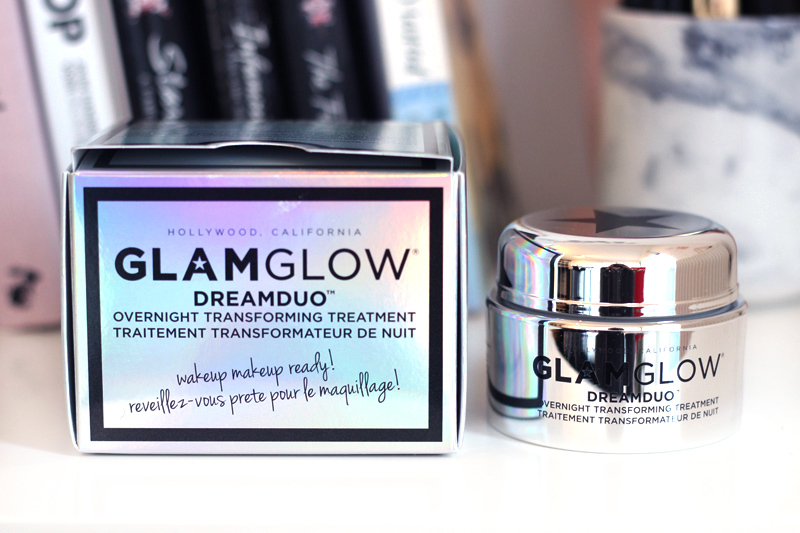 The DreamDuo Overnight Transforming Treatment is described as a "two-step overnight treatment that leaves skin looking and feeling radiant, hydrated, prepped, and plumped—with an energizing afterglow." It consists of two steps: the DreamSerum and the DreamSeal. The pearly DreamSerum is a "melt-in face serum that infuses antiaging antioxidants into the skin, while supercharged essential vitamins support an even, flawless complexion." The grey DreamSeal is a "nourishing moisture boost of hyaluronic acid and mozuku green algae that plumps and recharges skin’s glow." That all sounds pretty spiffy, but does it really work? The feel of both steps is pretty luxurious, soft and velvety. 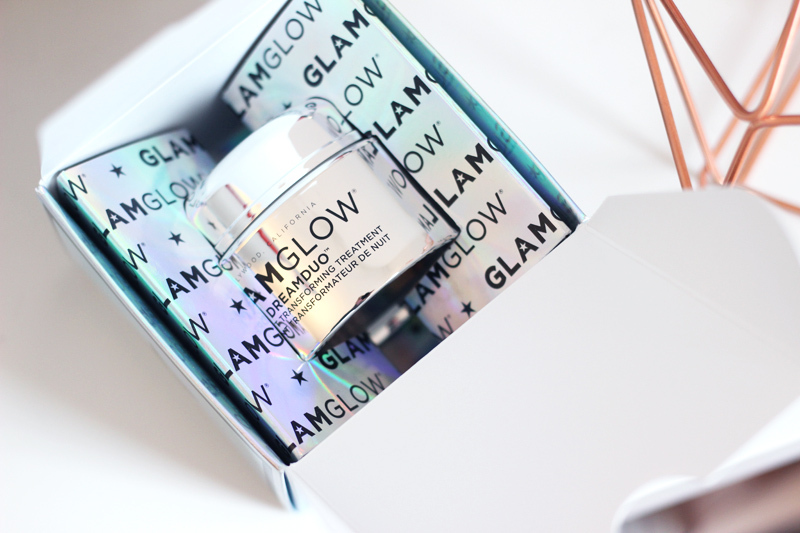 A quick peek at the ingredients list (find the full list here - kudos to GlamGlow for actually disclosing the full list on their website!) does reveal that this velvety feeling is mostly due to a high concentration of silicones. I don't mind silicones in my skin care too much, but if you do then this is something to be aware of. That said, it's also packed with antioxidant extracts and sodium hyaluronate. Sodium hyaluronate is a derivate of hyaluronic acid, with smaller molecules allowing it to be penetrated into the skin more easily. This is noticeable on the skin too: after applying my skin immediately feels quenched. It also has a pretty glow to it, thanks to the iridescent finish to the serum. I love the results and the way it makes my skin feel, and I also kinda like the gimmick of having two skin care steps in one jar. As I understand the ingredients of the lighter serum have some time to penetrate the skin already, before sealing them in with the thicker cream that'll stop them from evaporating as quickly as they otherwise would. I do wonder however why many of the ingredients in both steps overlap - both steps contain pretty much the same antioxidants and moisturising agents. The campaign for this product say you'll wake up "make-up ready" after using this, and while my skin does look good in the morning I definitely wouldn't just go ahead skip my usual morning skin care routine. It's a great tagline, but not the best idea after a night of sweating on your pillow. Another thought is that although this is very clearly advertised as a nighttime treatment, I wouldn't consider it a bad idea to also use this treatment a few hours before going out with a heavy make-up look. 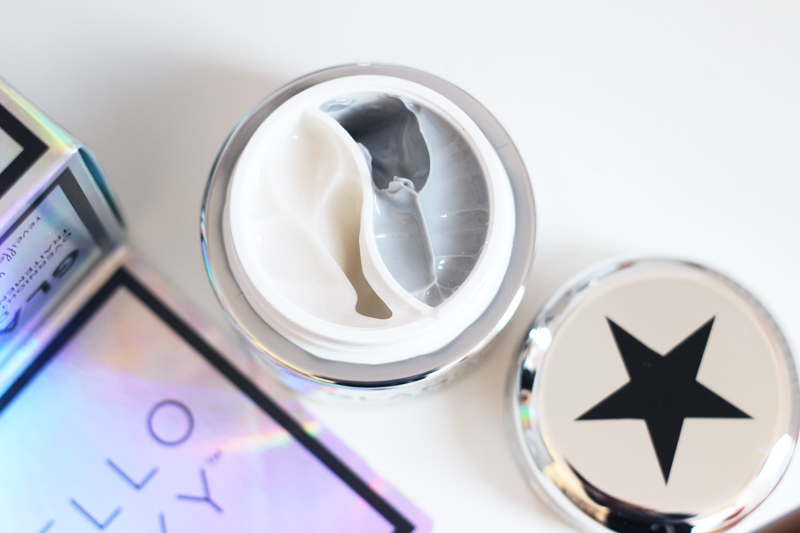 This'll make your skin feel very moisturised, radiant & be totally make-up ready. It would be the perfect make-up prep on Friday night after a tiring week of work.